If you’re looking for professional quality contract custom bandana printing then you can rest here since we at AMBRO Manufacturing have just what you need. AMBRO Manufacturing is a contract apparel customization company so we actually handle many different decoration services all in one convenient place which makes it a snap to create custom apparel and accessories. You don’t need any special qualifications to get started so if you’d like to start working with us today then you’re free to do so! Here at AMBRO Manufacturing we can offer you excellent contract custom bandana printing because we have over 30 years of experience in the industry. 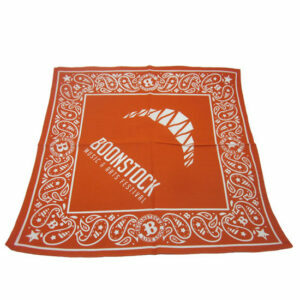 We have all the knowledge and equipment necessary to handle edge to edge bandana prints even on jumbo sized bandanas too. You are free to use every inch of space to fill with your creativity and artwork. 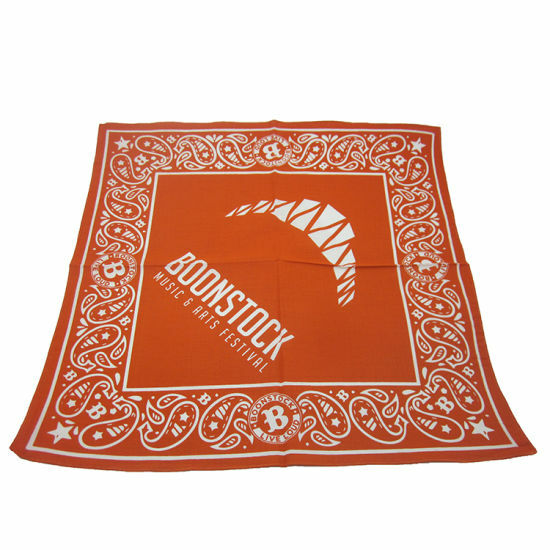 Contract custom bandana printing comes in handy if you are looking to create a lot of bandanas for a promotional event or giveaway because we’ll take care of all the behind-the-scenes work and you’ll be able to focus on more pressing matters. We send digital proofs prior to any printing so that you can be confident in how your design will look before any ink it’s the fabric. We handle all of our contract custom bandana printing right here, alongside many other services, so you can rely on us to deliver high quality work consistently. It’s easy to get a project started with us as all you have to do is reach out to one of our representatives and we’ll guide you from there. You can easily contact us to place an order for contract custom bandana printing, or to find out more about our company and all of the customization options we have here to offer, by email or by giving us a call at (908) 806-8337.